Old Trafford seldom sees anything like it. 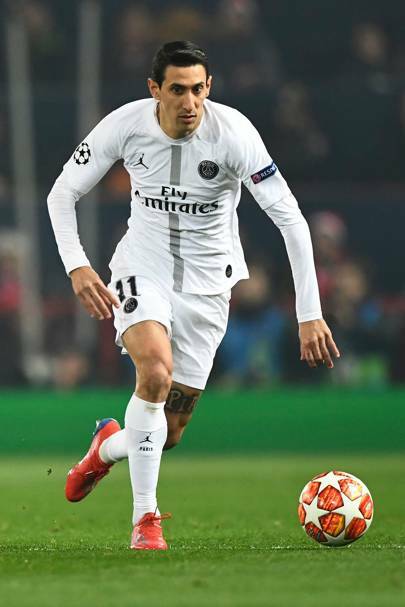 Not just the speed of Kylian Mbappé or the dominant midfielders Marco Verratti and Marquinhos or the sublime defensive partnership of Thiago Silva and Presnel Kimpembe. PSG showed why they are one of the best sides in the world when they became the first team to beat United at home by more than one goal in the club’s European history. 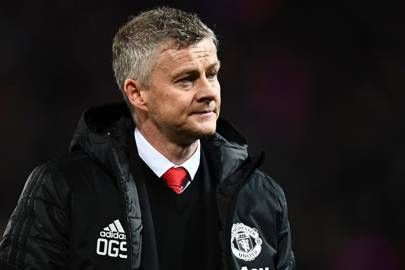 Manchester United advancing to the last eight of this season’s Champions League is now as implausible as Ole Gunnar Solskjaer winning ten and drawing one of his first eleven matches as Manchester United manager. Ole won’t be able to work a second miracle. Old Trafford also seldom sees away fans so raucous and raffish as the 4,500 who followed PSG to Manchester. They created a fantastic spectacle of noise and colour with their non-stop singing, flares and flags. It wasn’t only on the pitch where Manchester United were outclassed: United’s fans looked feeble in comparison. I posted a clip of the flares in their section at the start of the game on social media and 400,000 have viewed it so far. It looks brilliant, yet flares are banned inside English football grounds and United fans were quick to ask how the visitors got them inside the ground when the home support regularly have the tops of their soft drinks confiscated. Some called United a disgrace for allowing it to happen again and mocked the dogs which police officers use to sniff out pyrotechnics. United set up special search areas outside the away turnstiles. Security was tight and is usually exceptional at Old Trafford. Other clubs look to the way United handle their security and the club woke key members of staff in the hours after the Bataclan terrorist attacks in 2015 to tell them security would be ramped up even more. I was checked three times going into Old Trafford on Tuesday, but if I really wanted to shove a small flare up my backside, who was going to stop me? 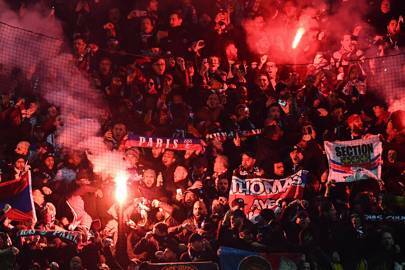 Short of installing airport-style scanners outside a football ground, what can United do if fans like PSG’s are determined to bring flares in? Leaving aside the ineffectiveness of the Chilean, which needs a whole column to itself, but the writer correspondent has a point. Football isn’t only for ultras in black tops. There were families sitting close to them and they were scared. There were disabled fans and they were scared too. Those ultras didn’t come intent on trouble. They made a lot of noise in Manchester during the day and they were in good humour on the trams travelling to Old Trafford. A female friend who goes home and away with Manchester United wasn’t intimidated by them and was amused when a group asked her for her number. They wouldn’t have appreciated that she speaks some French too and she embarrassed them when she heard them describe her as a cougar, saying, “Yes, I know what cougar means,” in French. They also applauded throughout the minute’s silence for Emiliano Sala. They were boys on a day out to see their brilliant football team. United fans will be little different in Paris on 6 March, but there’s a stark difference in their makeup and the style in which they support their team. In Paris, United fans will stay in bars as late as possible and arrive late at the stadium. In Manchester, the PSG fans arrived early and helped the atmosphere build. Ajax fans did the same in the 2017 Europa League final. Their end was three quarters full 90 minutes before the game. The United end was three quarters empty as everyone was still in the pub. The PSG fans were mostly young Parisians. The two main bodies of United’s travelling support are young lads free of family commitments and retired men with the time to take three days off to go and see a game of football in Europe. PSG were highly organised and orchestrated. English fans are not. Saint-Étienne, another Ligue 1 club, created an equal din when they visited in 2016. Again, they put the home fans in the shade with their show of support. Real efforts have been made to improve the atmosphere at Old Trafford and they’ve had considerable success. But policing and stewarding have played their part in making English supporters at home and away more restrained. English security authorities also appeared passive in their response to the PSG fans’ behaviour, in marked contrast to how travelling English fans would be treated in some European countries. Aggression, especially by quick-to-react Spanish police, has been an issue when English fans travel abroad. 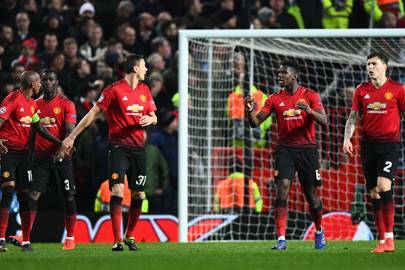 It was a bad night for Manchester United – on the pitch, where the team was outclassed in the second half, and off it, where the fans were outclassed for 90 minutes.